Robert T. Moran, David O. Braaten Ph.D., John Walsh, D.B.A. 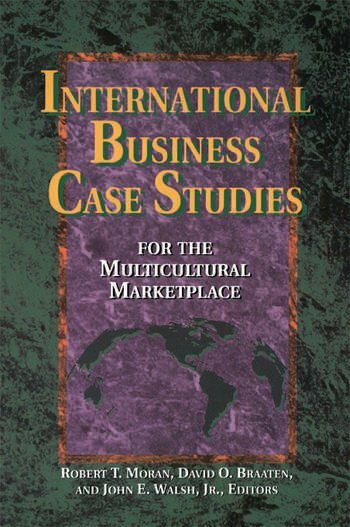 Divided into six major sections, this important book features more than 30 case studies that span critical issues of international business--globalization; negotiation; marketing; product/service quality; joint ventures and strategic alliances; and culturally diverse workforces. Each case study focuses on a particular company, region, or management style to clearly illustrate proven techniques for capitalizing on the cultural diversity of people, products, and markets. With contributions from more than two dozen business executives and professors, spanning the globe from Japan, to Germany, China to Mexico, this casebook provides a broad spectrum of current and future approaches to acheiving international and cross-cultural business success.